Someone needs to immortalize your work in a homebrew. Most people would rather opt for a faux-retro game with none of the limitations, much faster development, and a much easier language. That said, something this nice and detailed would be amazing to see in an NES game, since as Tepples discovered with the reception to his Cookie Clicker port, people think the NES had blocky, low fidelity graphics like Nintendo's earlier games. Most people would rather opt for a faux-retro game with none of the limitations, much faster development, and a much easier language. Ideally, followed by an NES port. 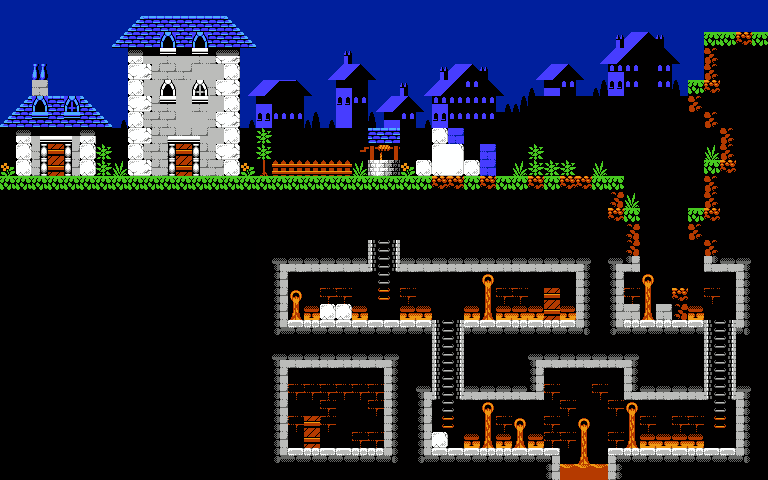 That philosophy (prototype in high-level language, then port to NES) worked well for STREEMERZ. The idea is that you develop the game with the NES' graphical and sound limitations in mind, and treating them as a guideline. 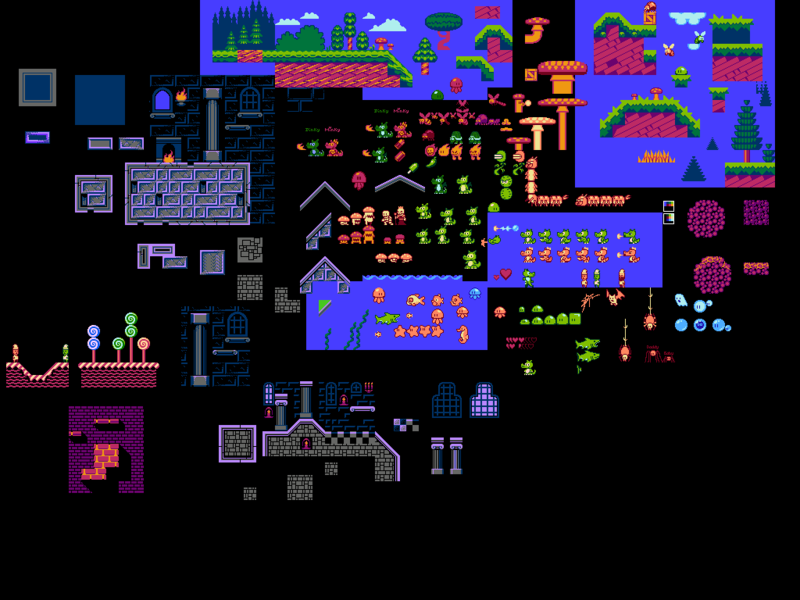 The game would have to look a certain way since you can only show 8 sprites on a line without them flickering, and your stages might resemble a Hanna-Barbera backdrop since you only have 256 unique tiles at a certain time. Those need to be taken into consideration to make the best possible use of graphics. Sound is similar, sound effects need to be designed so that only two or so channels are used at a time. Retro City Rampage uses a lot of channels for sound effects, but seeing how it has some 'features' that the MMC5 might use, they probably would be made with the two extra square waves. Even better, the music is 2A03 only, so the sound effects won't be much of an issue for the MMC5. Some released NES games have dedicated sound effects channels, such as Vic Tokai games using only two square waves for music, and the triangle and noise for sound effects. A more extreme case would be Robocop 3, which has only one square wave for the music. Noice! Reminds me of Mega Man and Gargoyle's Quest 2. Amazing, as usual! The top image is very Mega Man, indeed. It doesn't really look like that to me, but I get why one could see it that way, considering the image that's above the one with the village. I usually read these forums on mobile with images disabled, so this is my first time to see these. Your backgrounds are really good, and I love some of your palette choices. Looks very nice. I really like it! I like it, gives me lots of inspiration!